Vibram® Hong Kong 100 Ultra Trail Race 2013 Registration Open ! Argh... 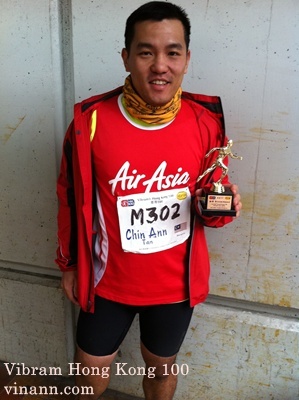 I never success in writing my HK100 ultra trail since early this year Feb 2012. Today, I woke up with news that Vibram Hong Kong 100 Ultra Trail Race 2013 is now open for registration! In 2011, i registered HK100 second editions and on 18 Feb 2012, I'm was at the starting point of HK100! Interested runners can find your way to http://www.hk100-ultra.com/ to register! Just checked, fees hikes HKD80 for early bird compared to last year HKD800. HKD80 hikes is nothing if you are able to enjoy the wonderful awesome Hong Kong Trail.... some photos for you to enjoy! Beach! It's feel nice when you see it from top, it's make you feel want to run faster to the beach! Register while spot still available. Foresee HK100 is getting hot and popular, spot is running out fast!